The mystery of death is certainly a topic whose time has come. It has been the subject of cover stories in national news magazines, best-selling books, NPR programs, and numerous TV presentations on major networks, cable channels, and PBS. “The Case Against Death” is the culmination of fifty years of independent study by Gary Werdesheim as well as his experiences as a hospice volunteer. A variety of nationwide audiences—from medical students to seniors—have found this material to be inspiring, comforting, and certainly thought provoking. 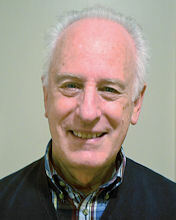 Gary Werdesheim is professor emeritus of the Florida State University College of Music in Tallahassee, FL, where he taught percussion instruments for thirty years. His musical training began in his native San Francisco and continued at New York’s Juilliard School. During those periods, he played on many occasions with the San Francisco Symphony, Opera, and Ballet; the New York Philharmonic; Metropolitan Opera; and at Radio City Music Hall. For five years he performed at the Aspen Music Festival. He has taught at the Aspen Music School, the Juilliard School, and Indiana University. Before deciding on a teaching career, he was principal timpanist of the New Jersey Symphony and the Royal Stockholm Philharmonic. Gary was principal timpanist of the Tallahassee Symphony Orchestra from its founding in 1980 until 2000, and again from 2010 to 2016. All content ©2015-2019 Gary Werdesheim. All rights reserved. Website design by WebMaestro.us LLC. Problem with the site? Please contact the WebMaestro. This site links to other websites whose content is the responsibility of their respective owners.